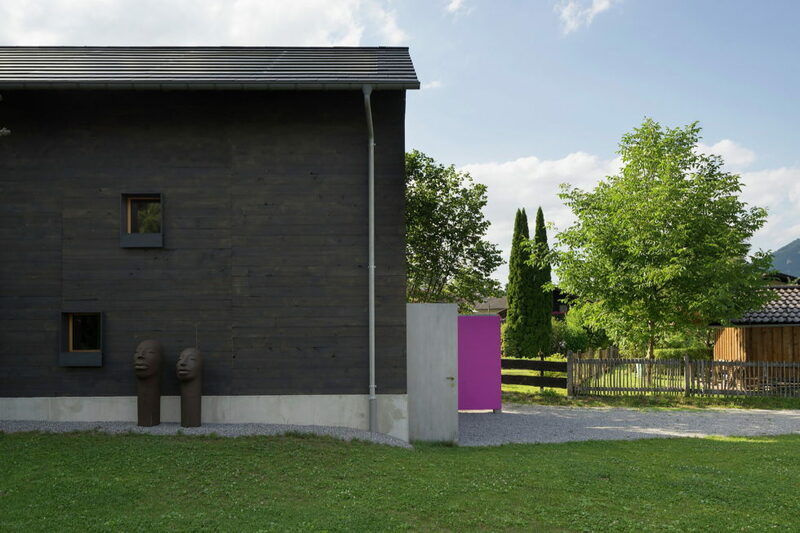 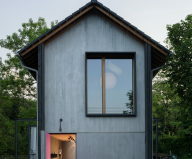 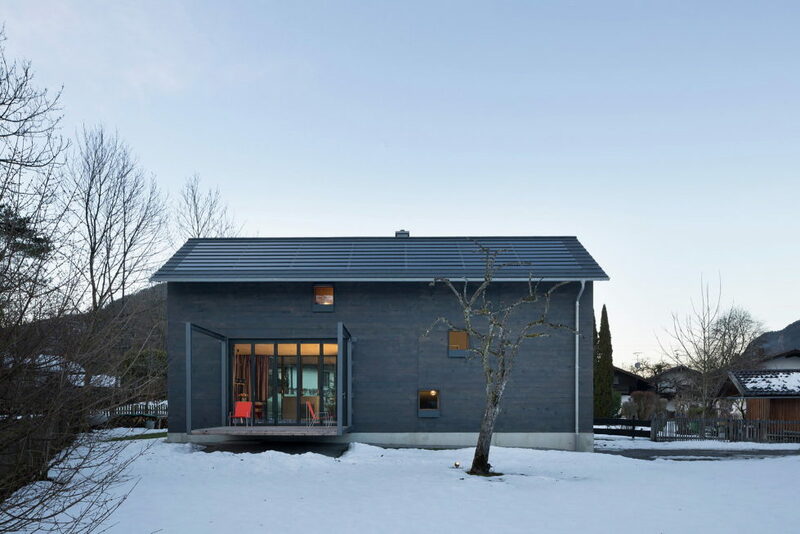 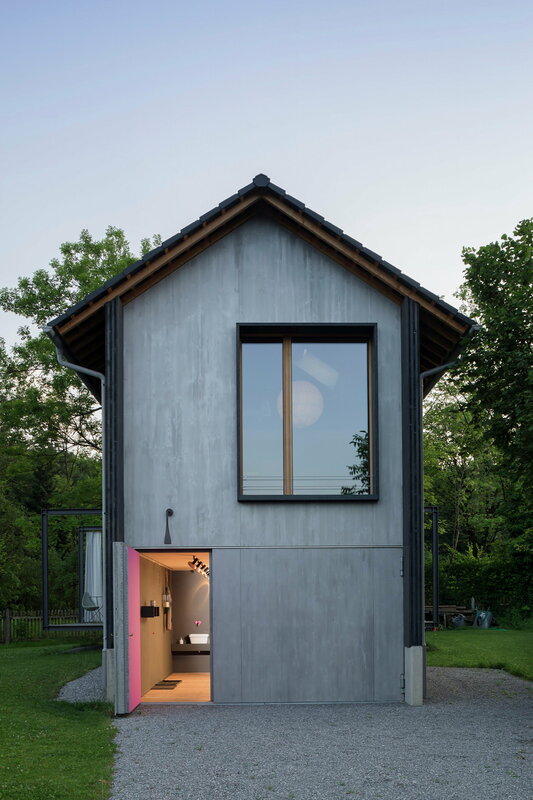 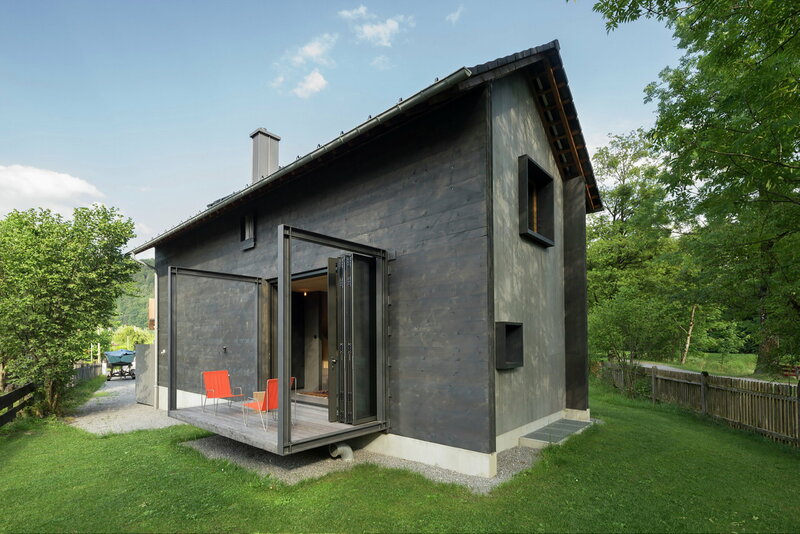 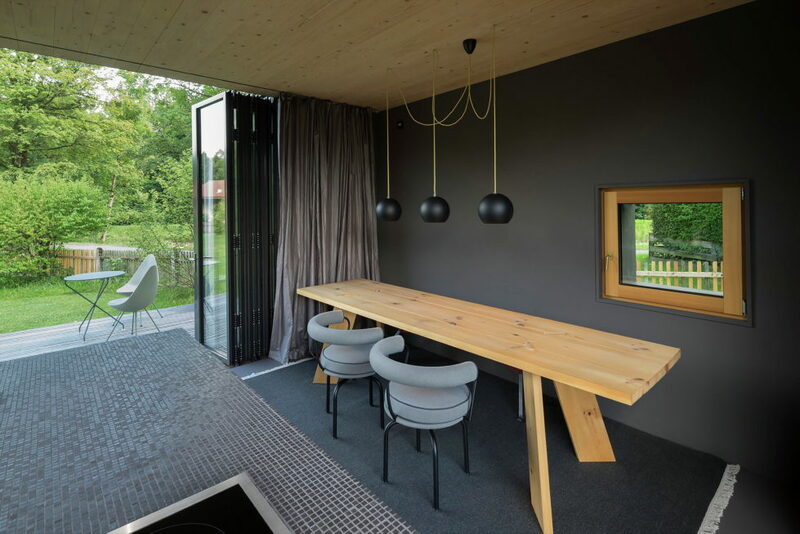 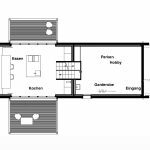 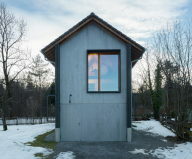 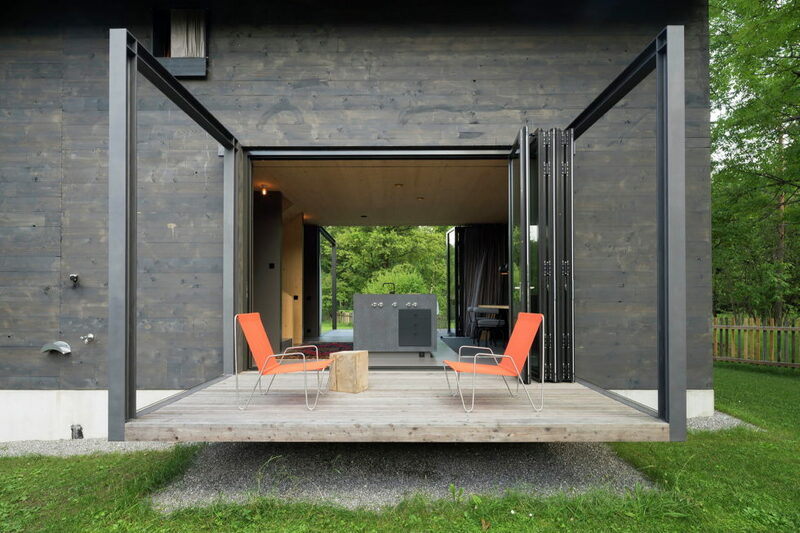 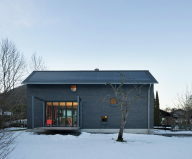 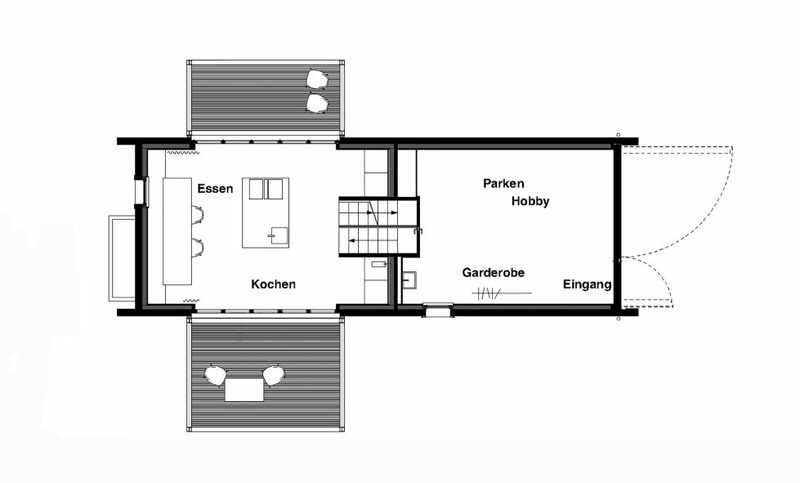 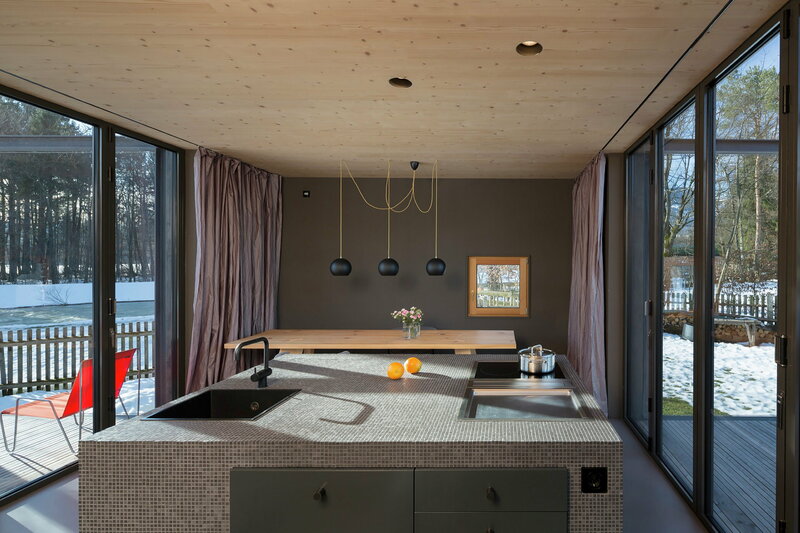 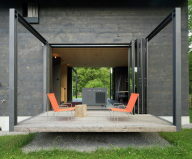 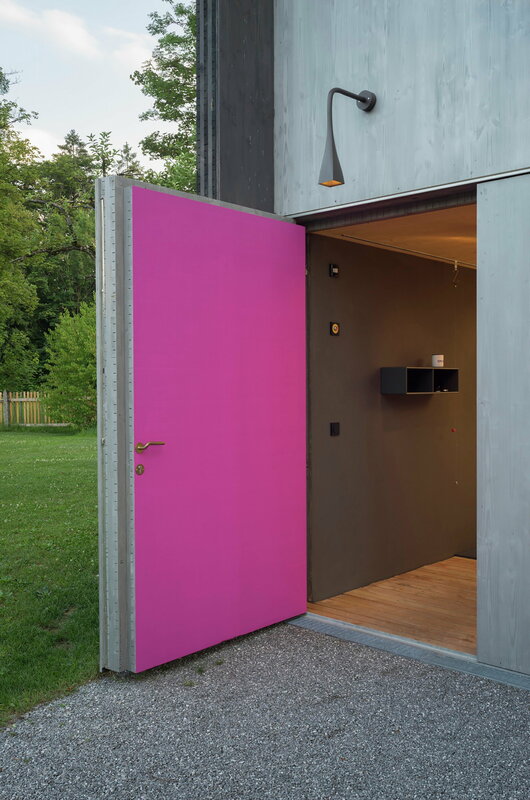 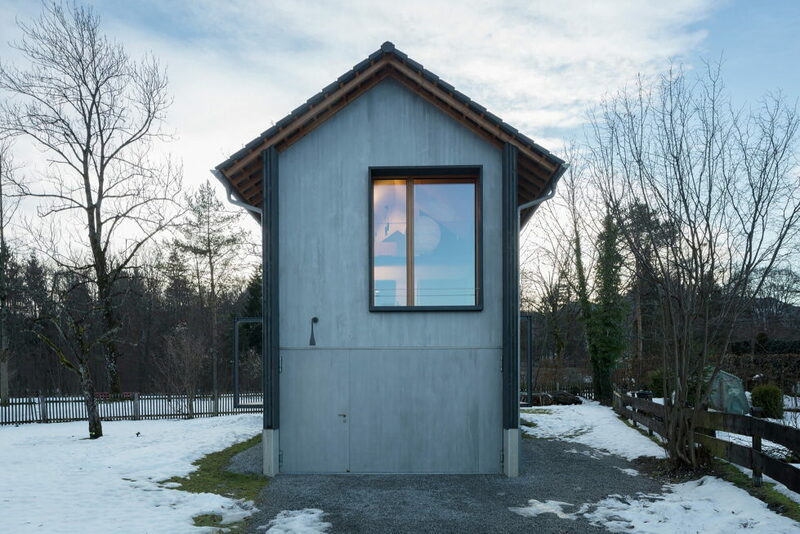 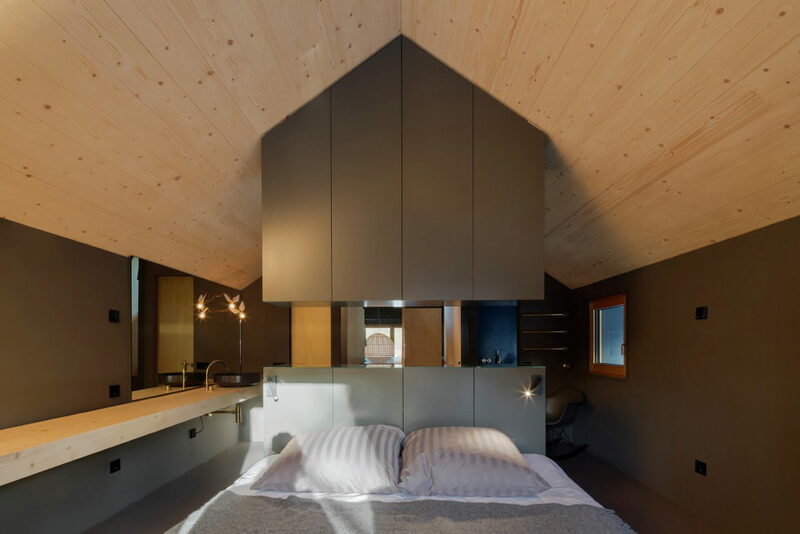 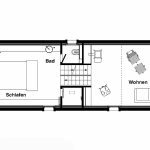 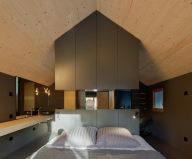 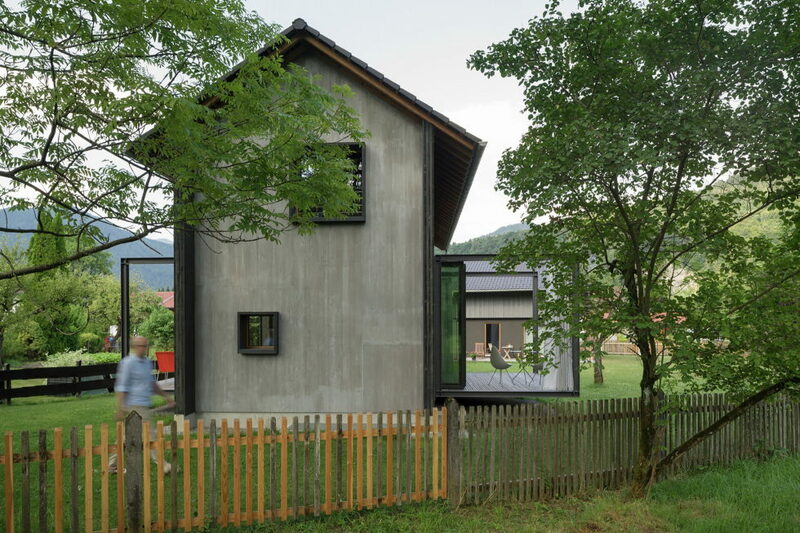 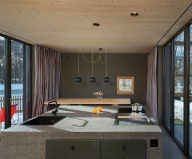 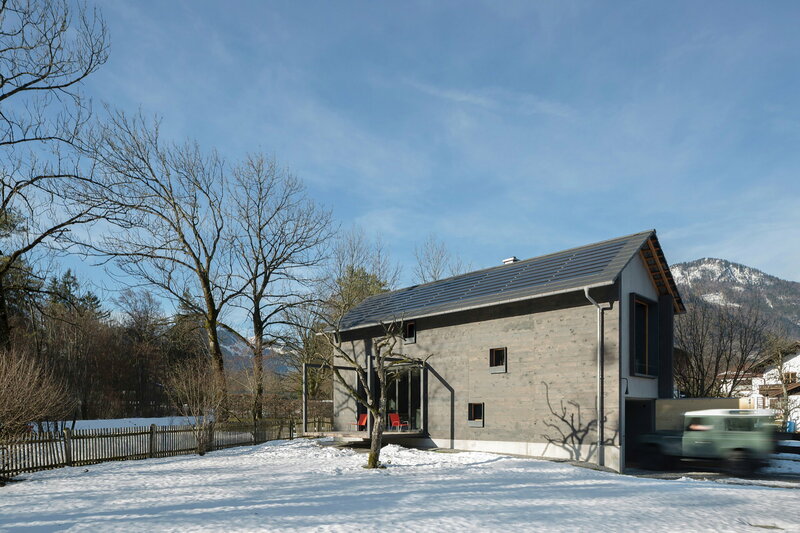 A compact house, performed upon the project of Arnhard und Eck Architekten company, is located on the small land spot at the Inn river-valley at the Upper Bavaria (Germany). 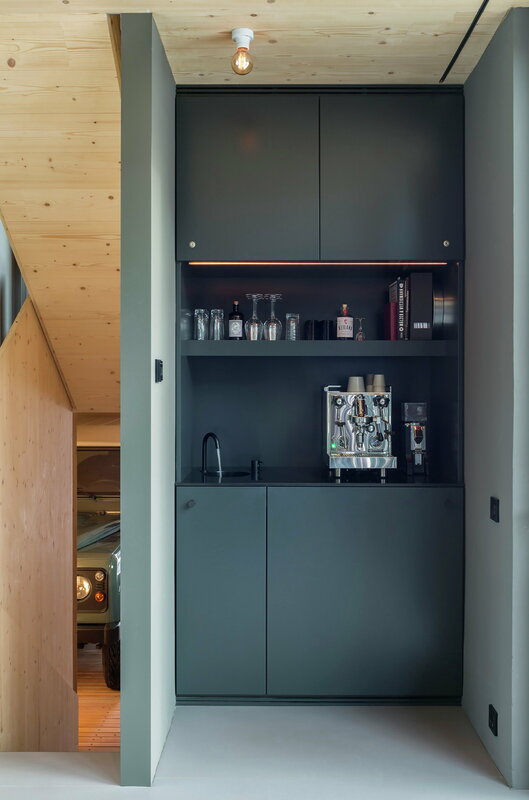 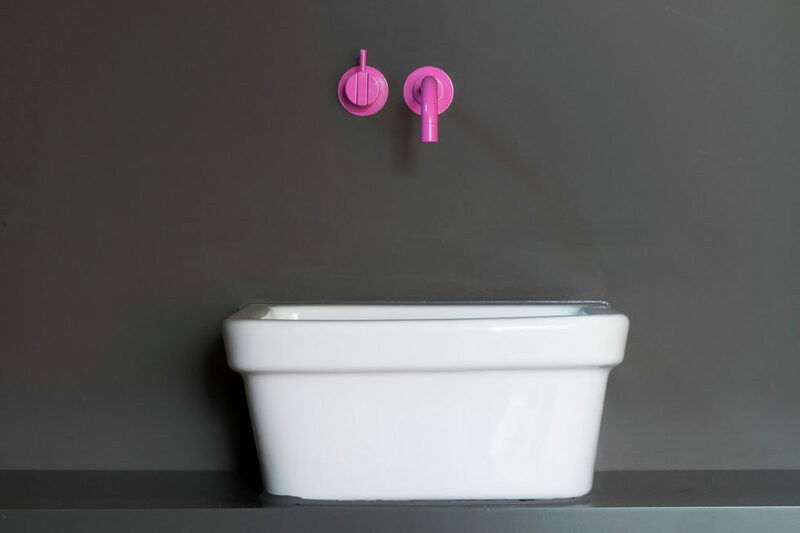 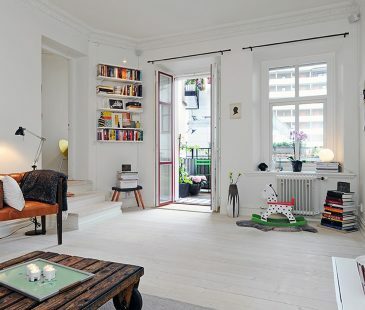 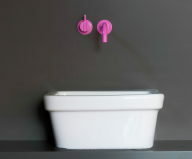 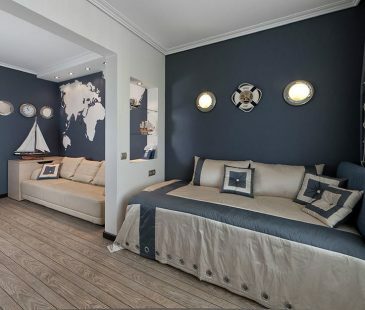 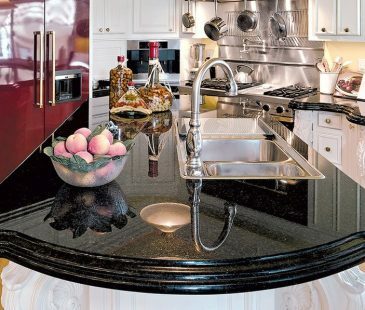 Small space is always a challenge for any designer or architect. 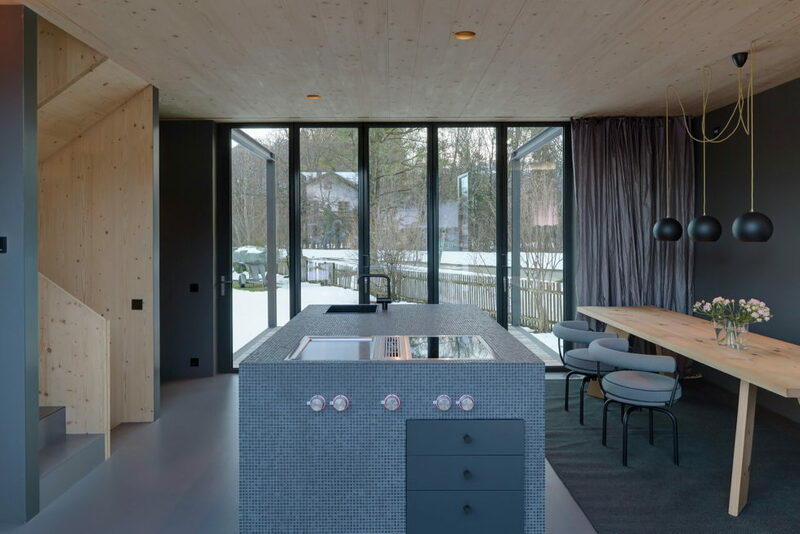 Professionals from Arnhard und Eck Architekten bureau faced with the same challenging task. 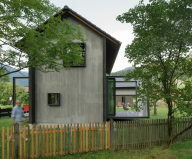 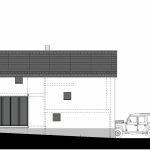 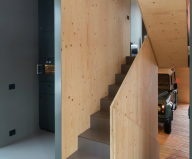 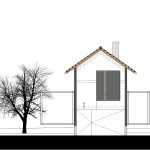 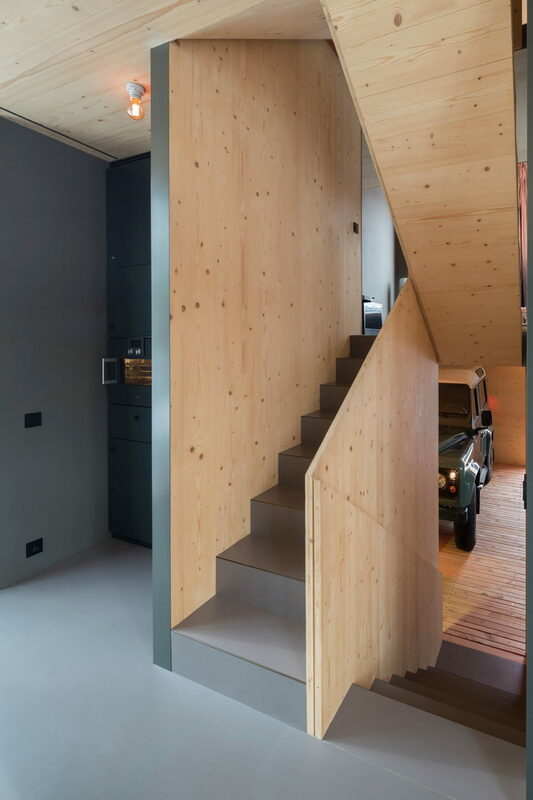 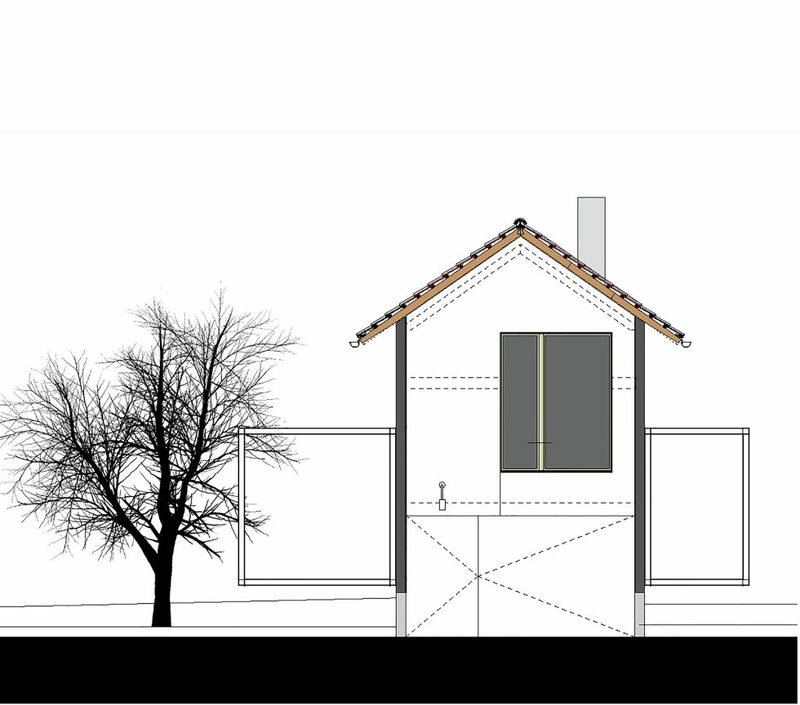 It was necessary to create small energy-efficient house with everything necessary for life, including the built-in garage. 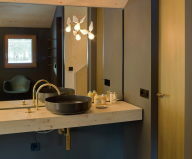 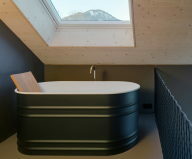 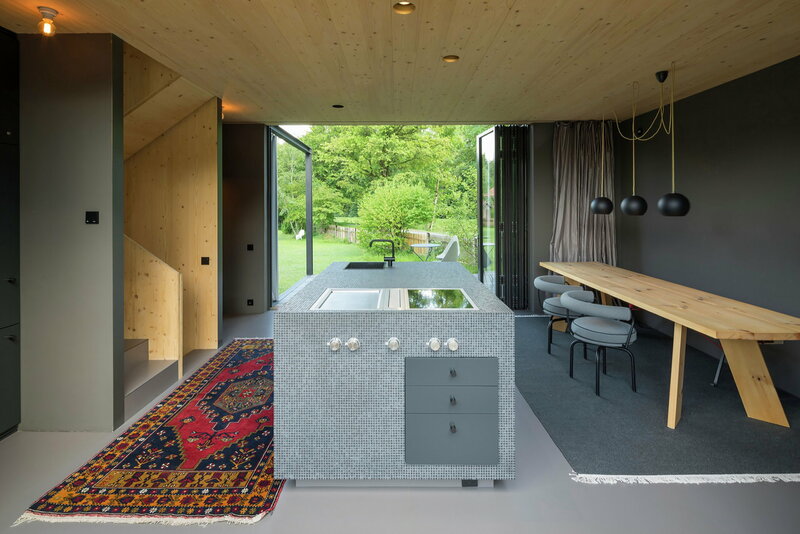 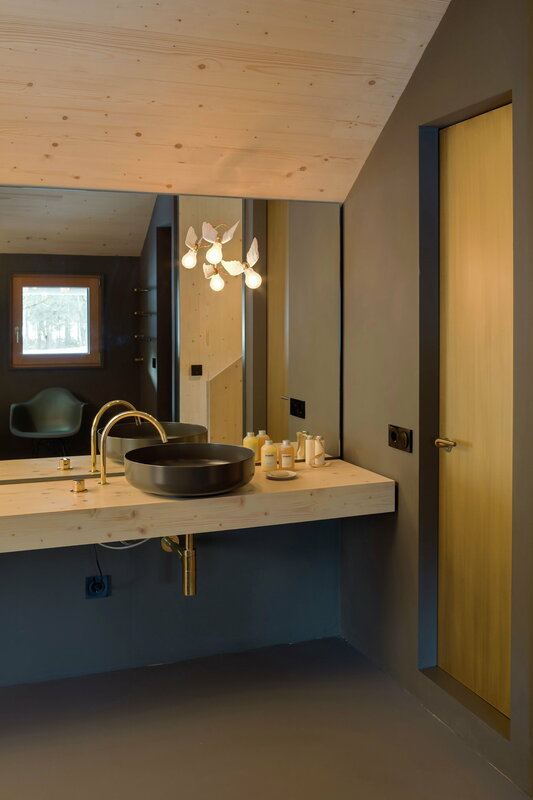 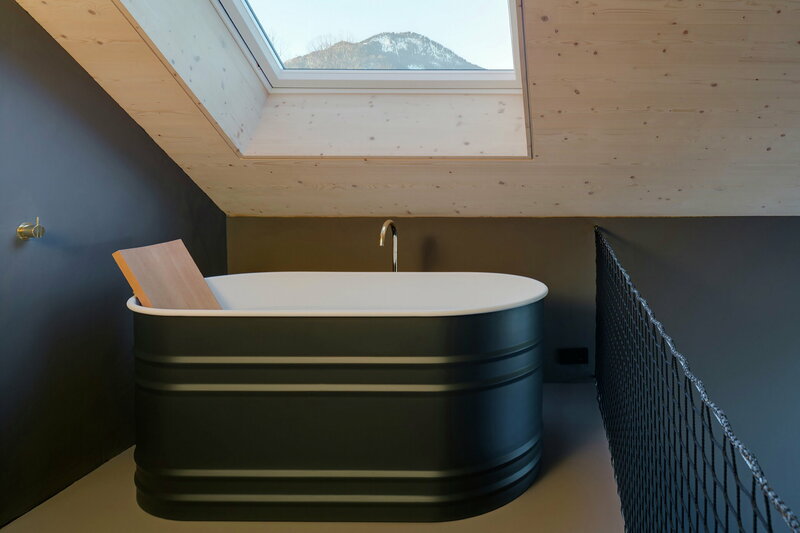 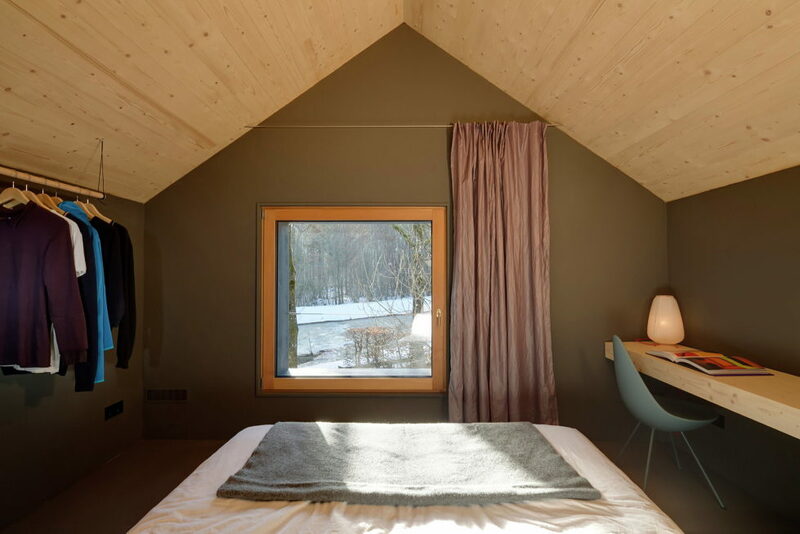 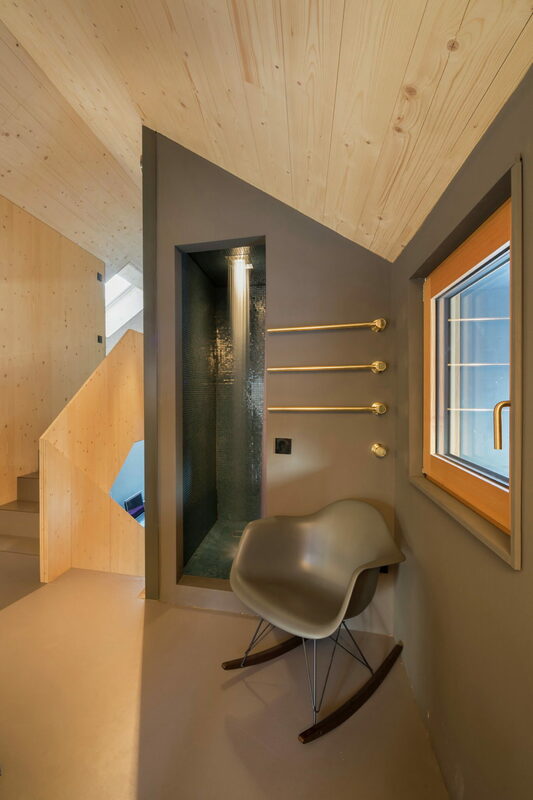 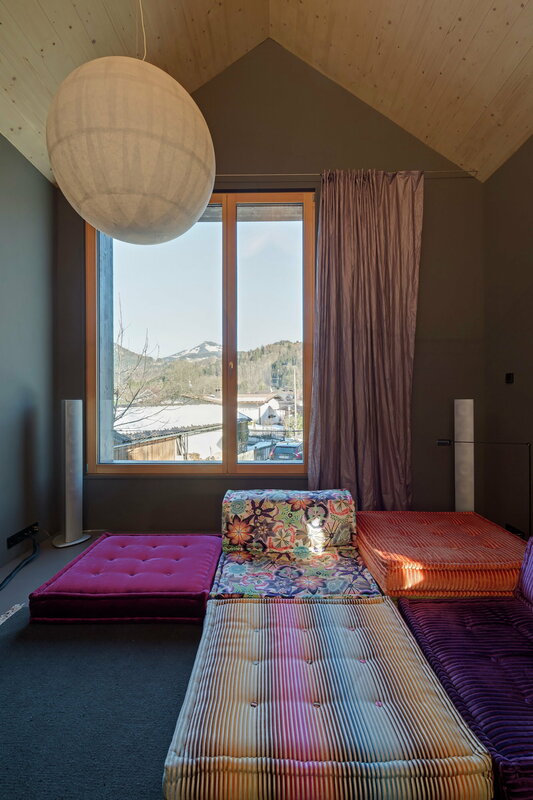 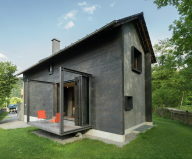 The house is located at one of the coldest regions of Germany, not far from the ski resort; therefore the creation of heating system of the house was one of the most important tasks. 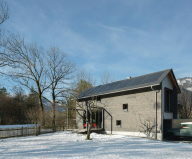 The house was built of the massive wood, the walls were weatherizated, moreover there is also heating system inbuilt in the walls. 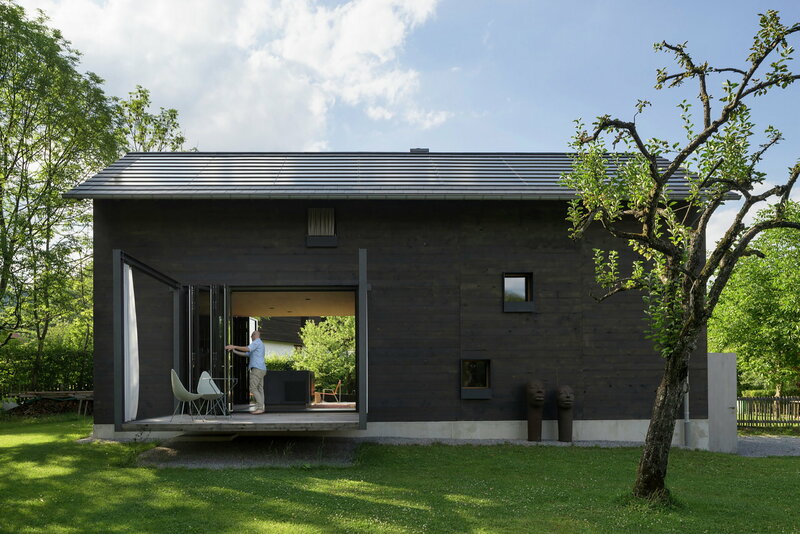 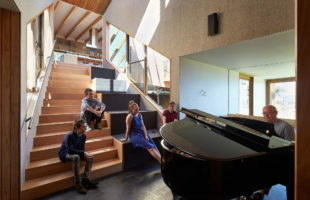 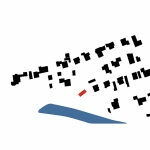 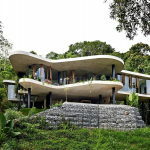 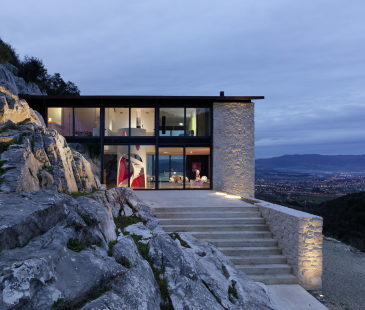 The roof is equipped with solar batteries, which supply the house with electricity to the full extend. 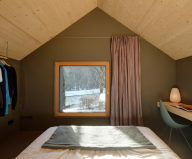 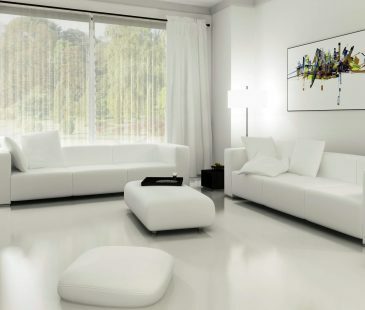 Automatic ventilation system provides the house with clean air and comfortable temperature at any time of the year. 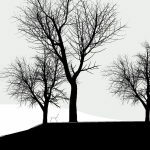 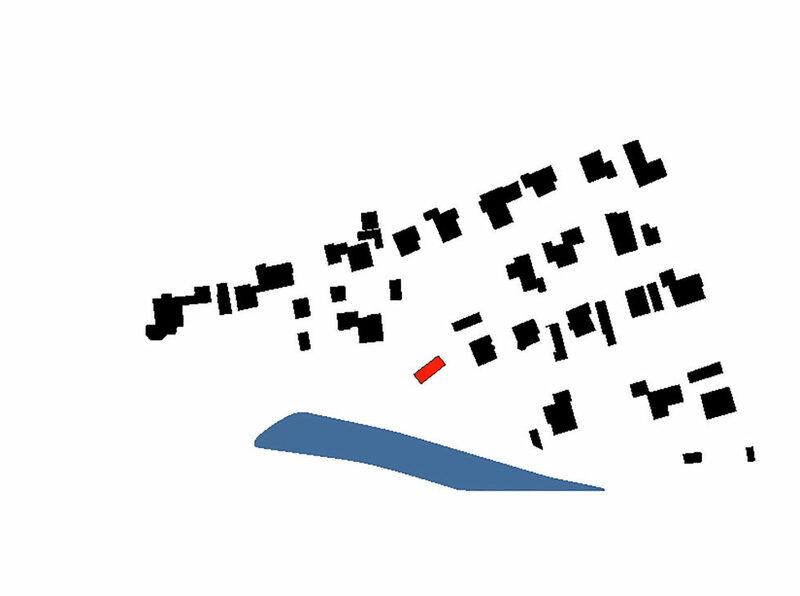 Functional zones are distributed according to the stories. 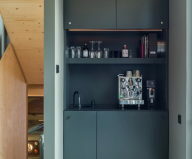 The first story contains spacious kitchen with dining room and big kitchen island, entering the garage. 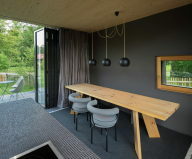 Apart from that, the architects created the terrace, which allows to enlarge the borders of the dining room during the warm season. 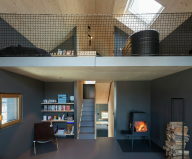 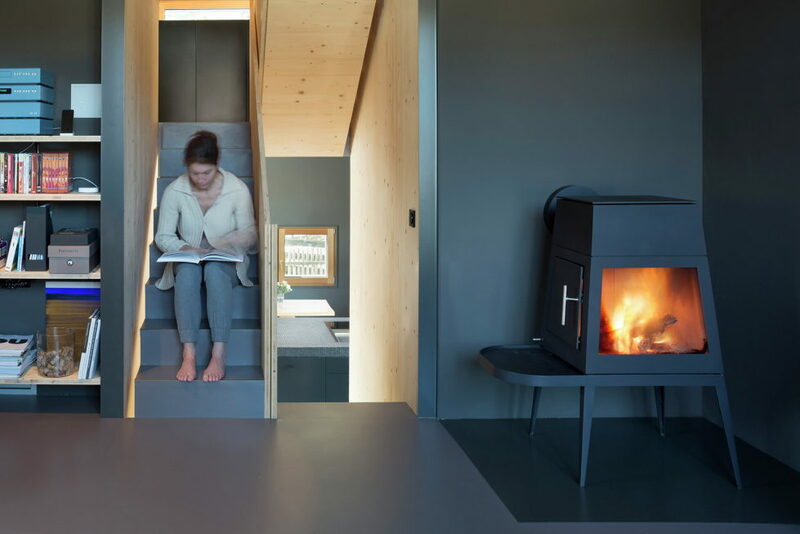 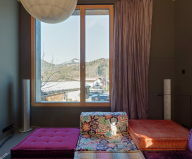 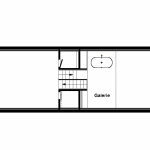 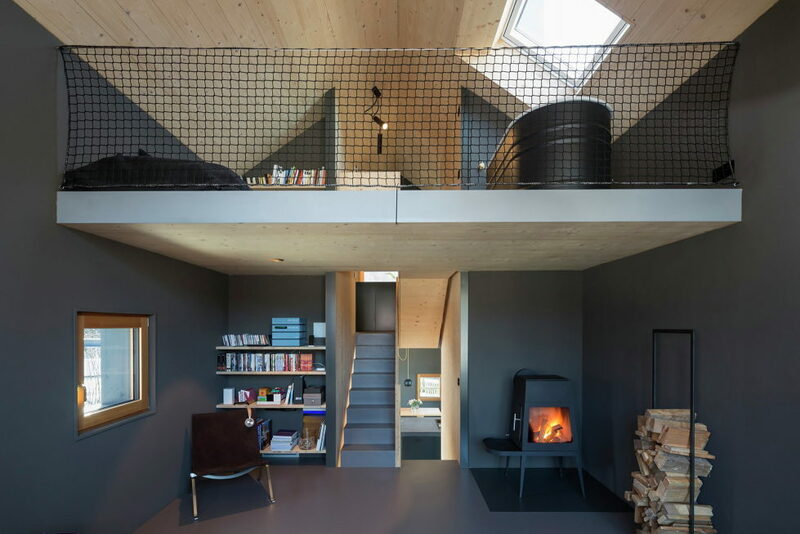 The second floor accommodates rest zone with a small fireplace. 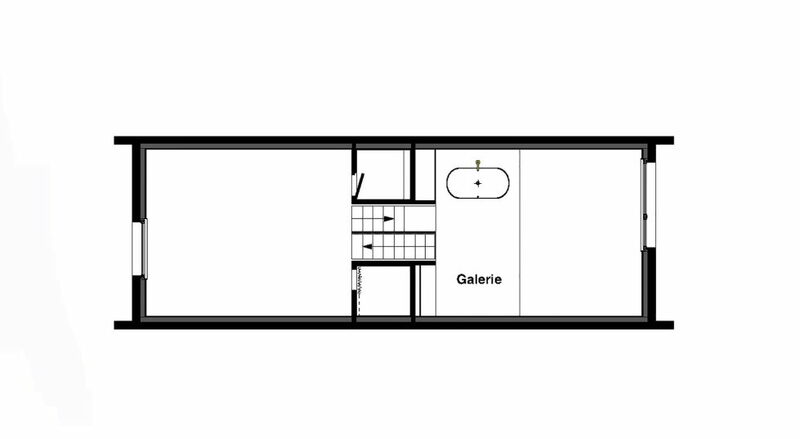 The third floor locates the bedroom and bathroom.